This recipe makes delicious dense little cakes to devour. They are not light and fluffy like a chiffon cake, but they are not as dense as a brownie. The balsamic strawberries are crazy good and I’m excited to share them with you. Make them! Sift together the flour, baking powder, and salt in a small bowl. Set aside. In a large bowl, beat the butter and sugar on medium speed until smooth, about 3 minutes. Add egg and beat for 1 minute more, then beat in the vanilla. On low speed, add half the flour mixture and mix only until combined. Add the milk and mix until just blended. Then add the remaining flour mixture and mix only until it is incorporated. Blend in the melted and cooled chocolate. Divide batter evenly among the 6 molds. Bake at 350 degrees F. until cake tester comes out clean, about 25-30 minutes. Cool for 5-10 minutes in pan. Then remove the mini bundt cakes from pan and cool on a rack to room temperature. Dust the mini bundts with powdered sugar. Top with a dollop of whipped cream or homemade ice cream . . or both if you’re so inclined . . . and serve surrounded by balsamic strawberries. 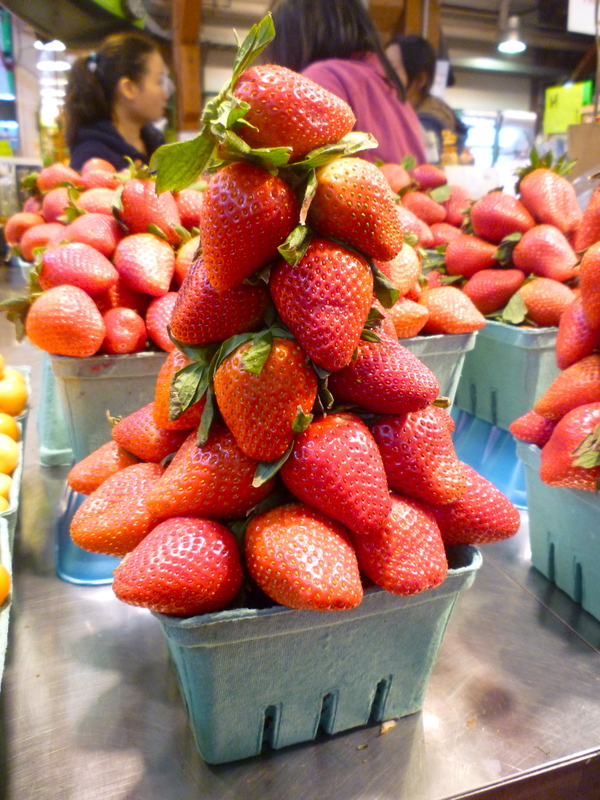 Slice strawberries into a bowl, drizzle with vinegar and toss with sugar. Let stand for at least one hour to allow flavours to blend. Just before serving, grind a little fresh pepper over each serving. 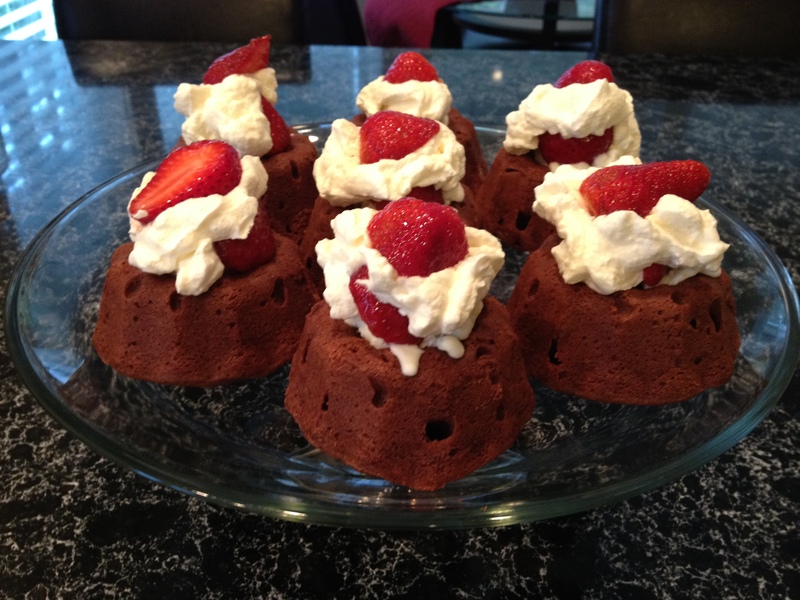 Do you have a favourite chocolate-strawberry recipe? This entry was posted in cakes, desserts and tagged balsamic strawberries, Bernard Callebaut chocolate, dessert, individual cakes, individual chocolate desserts, mini bundt cakes, mini chocolate cakes. Bookmark the permalink.